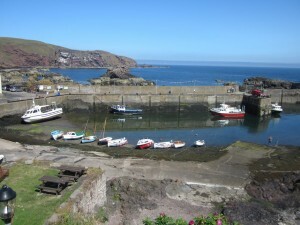 For this a trip I planned a foray out of England, into Scotland for a walk along the coastline north of Eyemouth. I’ve previously walked up the coast from the border so this walk was conceived to continue my coastal exploration further north. The warm, clear day with plentiful blue sky was an added bonus. With itchy feet from not having not been out at all in January I decided that something needed to be done. Short of inspiration I looked for a route through countryside that would connect a few small villages together. I often see signposts for Lucker off the A1 at Warenford and have wondered what was there. 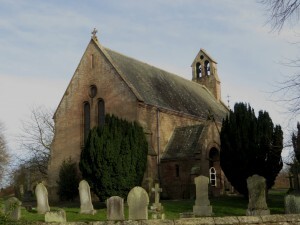 This walk from Bamburgh to Belford would enable me to find out. 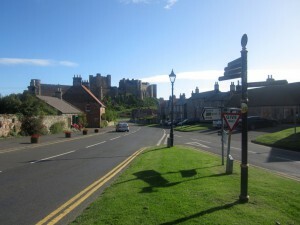 This walk started in Bamburgh on an a quiet but warm day in early September. My plan was to follow the coast down to Seahouses, on to Beadnell and then decide what to do next depending on how my walk progressed.